WASHINGTON (AP) — It will take time to overcome the recruiting challenges that caused the U.S. Army to miss its enlistment goal this year, but plans to beef up recruiting and other changes will enable the service to get the recruits it needs in 2019, top Army leaders said Monday. Gen. Mark Milley, Army chief of staff, said the recruiting shortfall was “certainly a warning light out there” as the Pentagon works to increase the size of the soldier service to 500,000 by 2024. 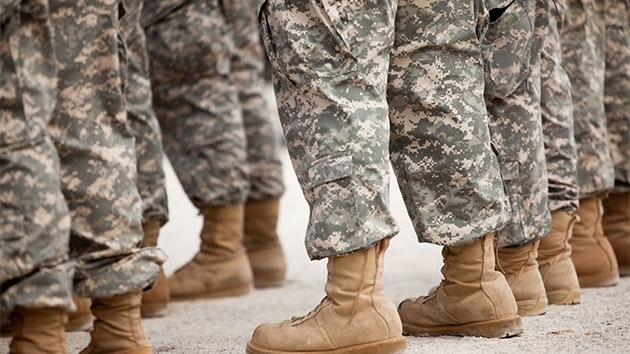 For the first time since 2005, the Army missed its recruiting goal this year, falling short by about 6,500 soldiers, despite pouring an extra $200 million into bonuses and approving some additional waivers for bad conduct or health issues. The Army signed up about 70,000 new active duty recruits in the fiscal year that ended Sept. 30, well below the 76,500 they needed. The Army National Guard and Army Reserves also fell far short of their goals, by more than 12,000 and 5,000 respectively. Army Secretary Mark Esper said the service is moving recruiters into 20 more cities and upgrading the storefront enlistment stations to entice recruits. According to the Army, there are about 9,600 recruiters now, and the plan is to increase that to about 10,250 by next summer. Only about 30 percent of 17- to 24-year-olds meet the physical, mental and moral requirements for the military, and only one in eight are interested in serving. Milley said the Army could have reached the recruiting goal this year but instead focused on taking higher quality recruits, rather than enlisting lower quality young people just to make the numbers. He laid out an ambitious plan to bring in enough soldiers in the coming years to ensure that key operational units are actually staffed above full strength. That way, he said, the military will still have the soldiers they need when some become injured or ill and can’t deploy or are out of their jobs for several months. And he said efforts to improve the Army’s readiness to go to war are slowly taking hold, as the service recovers from 17 years of combat in Iraq and Afghanistan. Efforts to upgrade equipment, reorganize the force and focus spending on key new programs is helping to make the Army more lethal, Milley said. For years, modernization and other programs were sacrificed in order to get the most critical troops and equipment on the battlefields.